Los Angeles, California - As the song goes, “A house is not a home.” And as alleged in an FTC lawsuit against the operators of rental listing websites, sometimes an apartment isn’t an apartment. Steven Shayan, Kevin Shayan, and affiliated companies run ApartmentHunterz.com, FeaturedRentals.com, and WeTakeSection8.com. For consumers who pay weekly or monthly subscription fees, the defendants promise accurate listings for available units. But according to the FTC, the defendants’ sites are rife with inaccurate or unavailable listings. Hundreds of consumers and property managers have complained directly to the defendants and through groups like the BBB. Among other things, they reported that units on the site weren’t really for rent. And we’re not talking about “Gosh darn it. Somebody just signed a lease this morning” near-misses. Consumers and property managers report that apartments featured on the defendants’ sites had been rented months – or even years – earlier. In addition, the FTC alleges that many listings on WeTakeSection8.com don’t actually accept Section 8 vouchers. Anyone who pays a subscription fee for a service that doesn’t deliver as promised experiences financial injury, but it takes a particular bite out of the budget of low-income consumers who qualify for Section 8. According to the complaint, the defendants’ conduct harms those consumers in another way, too. A disabled person or low-income family can spend years on the Section 8 waiting list. But once they qualify for a voucher, they may have only 60-90 days to find a place that takes Section 8. Time spent going down blind alleys – for example, pursuing listed properties that aren’t really available – cuts into that narrow window. The FTC lawsuit alleges (among other things) that the defendants’ claims of offering accurate, up-to-date, and available listings are false or deceptive. 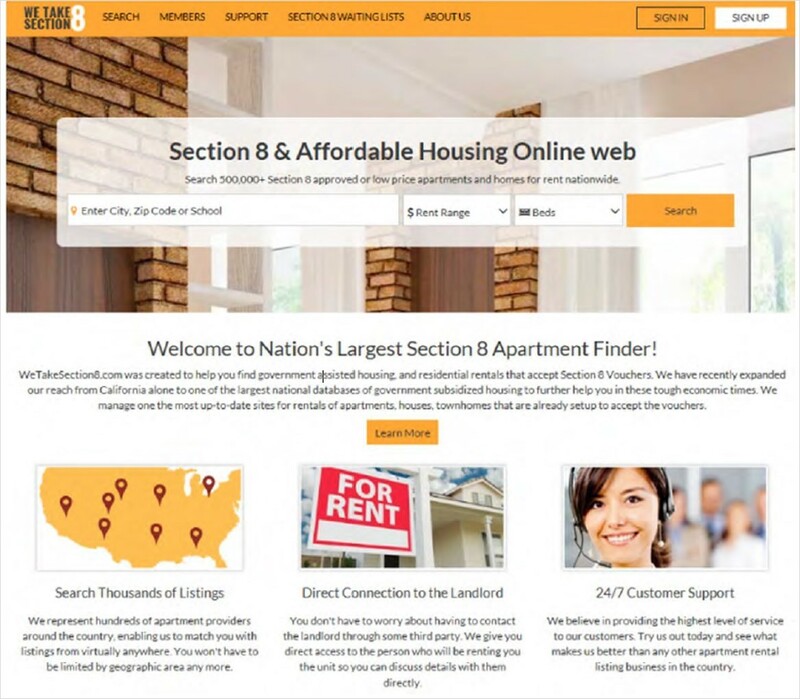 The complaint also challenges the defendants’ representation that their sites feature “exclusive” listing of available apartments and Section 8 units not available on free sites. Furthermore, as the FTC lawsuit notes, this wasn’t the defendants’ first rental rebuke. The California Department of Real Estate revoked ApartmentHunterz’ license, but it has continued to do business. Then there were earlier state disciplinary actions for false and misleading ads. A federal court in California has issued a temporary restraining order. What’s the word for other businesses? Even at this early stage, the complaint is a reminder that companies have a legal obligation to live up to promises they make in their ads. That’s the case if they sell widgets and gadgets or if their stock-in-trade is paid access to curated information. If you deal in data, established truth-in-advertising standards still apply.